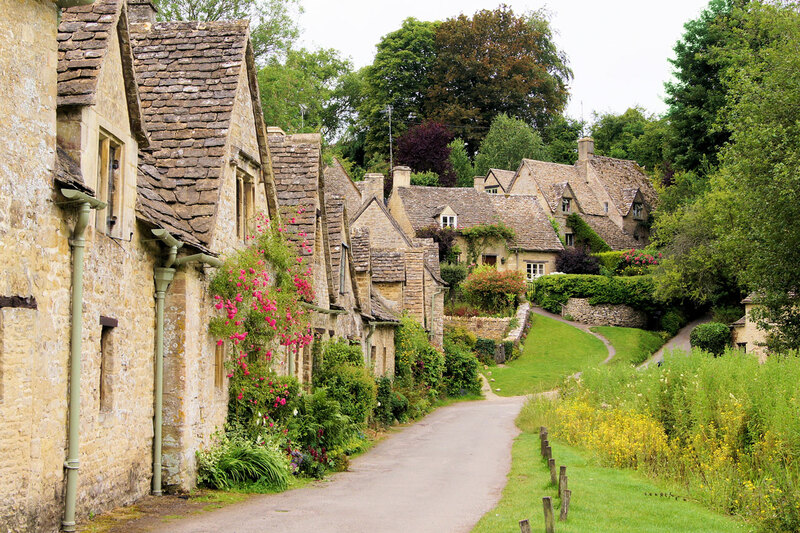 Bibury is a charming, typically Cotswold, village just a short drive from “The Capital of the Cotswolds”, Cirencester. Bibury was once described by William Morris (1834-96) as “the most beautiful village in England”. A picture of Bibury is seen on the inside cover of all United Kingdom passports, making it the most depicted village in the world. In the Domesday Book (1086), a record of survey done under William the Conqueror, the place is named Becheberie, and it is recorded that the lands and church in Bibury were held by St. Mary’s Priory at Worcester, from whom it passed in 1130 to the Abbey of Osney, near Oxford: the Abbey continued to hold it until its dissolution in 1540. Late in the nineteenth century George Witts recounted the discovery of the Bibury Roman villa: “In the year 1880 a Roman villa was accidentally discovered in the parish of Bibury, about six miles northeast of Cirencester. Some Roman pottery, coins, remnants of tesselated pavements, &c., were found, but as no examination has yet taken place, no description of the building can be given.” –George Witts, 1883. The Church of England parish church of Saint Mary is Saxon with later additions. From AD 1130 until the English Reformation during the sixteenth century, it was a peculier of Osney Abbey in Oxford. The north Chancel wall of the Church is home to a stained glass window which was designed in 1927 by Karl Parsons and was featured in the 1992 Christmas stamp set issued by the Royal Mail. Adjacent to the church is the village primary school that was built in the 1850s. The picturesque Arlington Row cottages were built in 1380 as a monastic wool store. This was converted into a row of weavers’ cottages in the 17th century. The cloth produced there was sent to Arlington Mill on the other side of Rack Isle. The cloth was then hung on wooden timber frames on Rack Isle after being degreased at Arlington Mill. 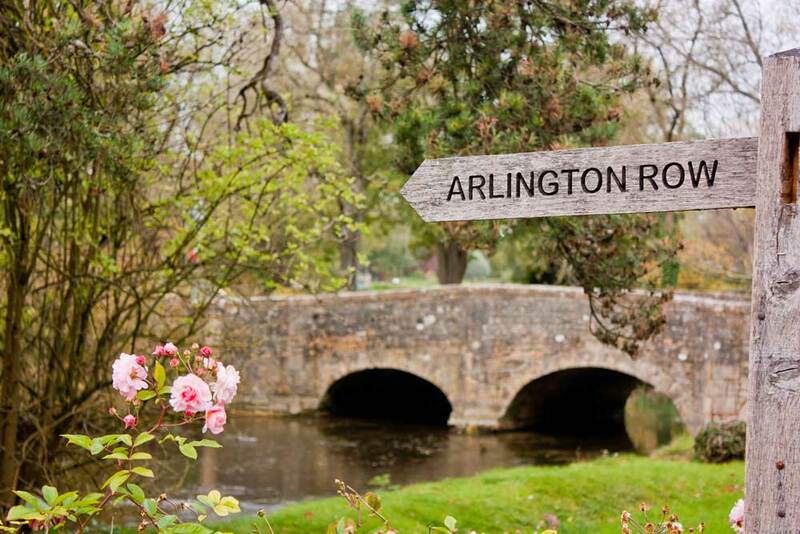 Arlington Row is probably one of the most photographed Cotswold scenes.